There are 2 ways to connect reader to XP-SNET controller. 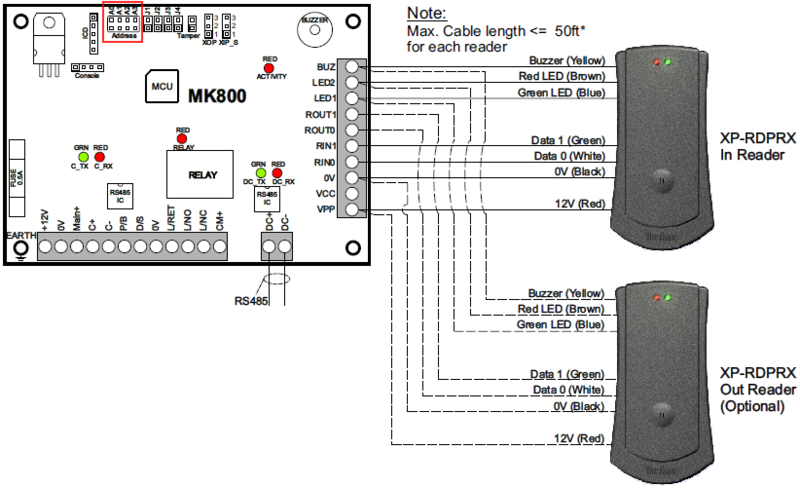 Please configure the reader's DIP Switch (Address No) and Door Setup. Please check the reader/ reader interface wiring connection before proceed. See Wiring connection diagram for XP-SNET. 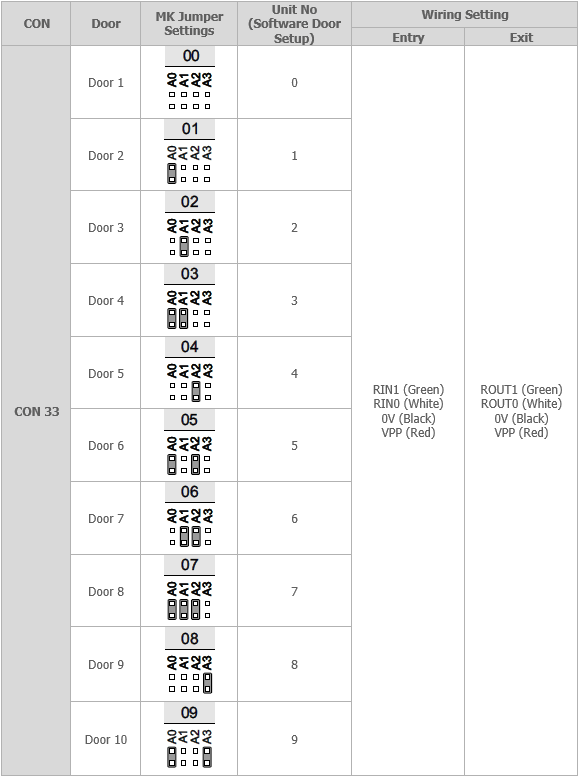 Refer to the table below to set the address setting at Plato reader. Please ensure the DIP Switch set is correct (As Entry/ As Exit) for each door. Assign reader for Door 1 Please connect the reader at CON 32 on XP-SNET board. To set this door as Entry & Exit, please connect 2 Plato readers. Then set the reader's DIP Switch to 00 and 01. Toggle the DIP Switch correctly. Example: Address 01 - Toggle Up No 1 and Toggle Down No 2, 3 and 4. After configured the Plato Reader Dip Switch Setting, run xPortal Server. Please configure the controller before proceed. 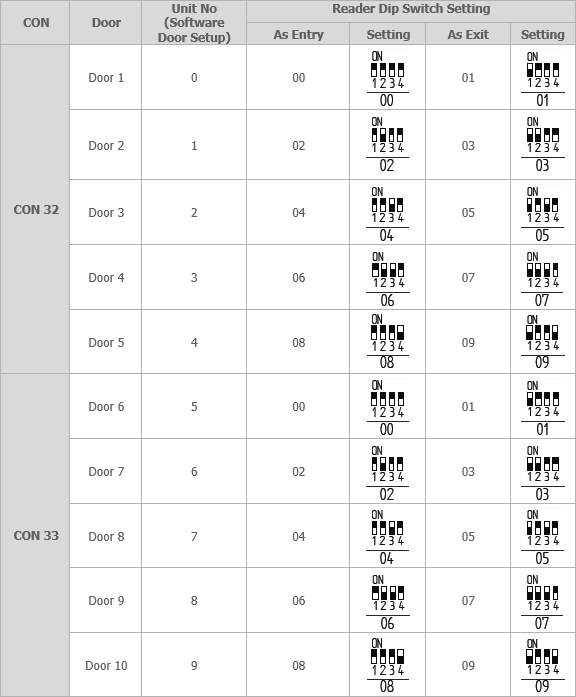 If Door record is exists, please modify the Door Setup. Please set the Unit No according to the Plato DIP Switch Setting. For same Unit No, please configure it once only. 1 door is associated to Entry and Exit. Please ensure the Unit No is assign correctly at the correct door. Please find the Address Jumper from the MK board. 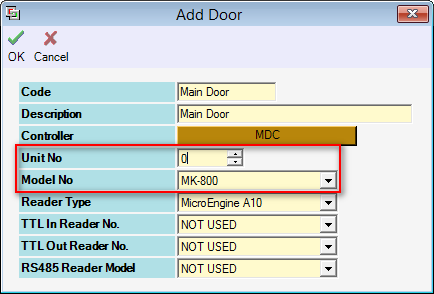 Refer to the table below to set the Jumper Address Setting on MK (Reader Interface) and its corresponding Unit No from the Door Setup at the xPortal Server. Please short/ close MK Address Jumper which highlighted in grey from the table above. After configured the Jumper Address Setting on MK, run xPortal Server. Please set the Unit No according to the MK Jumper Settings. Select the correct Model No. Please ensure the Unit No is assign correctly at the correct door. 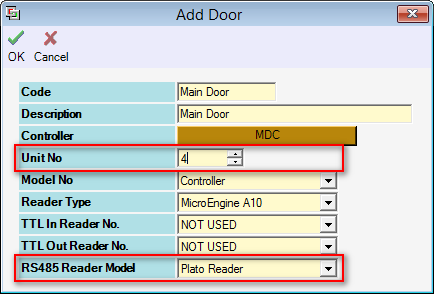 Summary: This article contains steps to configure the address setting for Plato readers / XP-MK800 (Reader Interface) on XP-SNET board.